Grace writes with indelible ink. As in, something that is not believable. I have found something unbelievable. To be more accurate…I have found the words in the Bible…are are the most unbelievable. This morning I truly discovered the most unbelievable thing in the entire Bible. Go Check Out Maggie’s New Book! 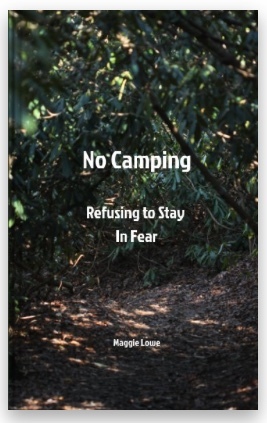 Maggie’s first book No Camping: Refusing to Stay in Fear is available now! Order from this site.